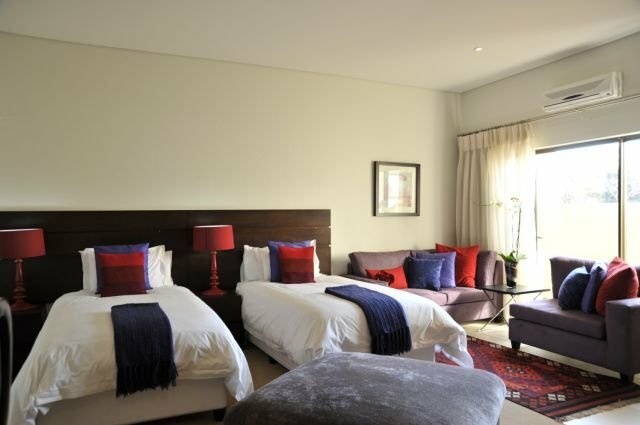 Accommodation in well appointed Bed & Breakfast Guest Houses in Gauteng, Johannesburg. We also cater for groups - small or large. We have been in the hospitality industry for 18 years and pioneered the guest house business in Melville and Auckland Park. Choose between two charming secluded cottages or a spacious executive poolside cottage set in a lush tropical garden. All ideal for bed & breakfast or self-catering. Maximum home comforts, luxury suites. Very well located in a quiet street. Use our unique 'locate-and-organise' service for group bookings - a competitive, professional service for the arrangement of venues and accommodation.